It was exactly a year ago today Elaine left paid employment for the last time. What a year it has been! I was thrilled to be given the opportunity to concentrate solely on my writing, and what a year it has been. I work at it everyday, whether that’s planning, researching or developing my manuscript. I have a goal and I try to stick to it. My aim is always to write a thousand words per day. This is calculated over a week, allowing for peaks and troughs and for the unexpected to happen. It is always my intention to be in the office by nine am and work through until three; this allows for family time, as well as keeping my novel on schedule. As you already know, I am a member of The Romantic Novelists Association (RNA) New Writers Scheme (NWS) and have been to numerous events they hold. The two main events for me have been their conference, which is held every July, and the London Chapter meetings. The conferences are all about workshops, panel talks, agent one to ones and, of course, wine. I also joined the Historical Novel Society (HNS) and the Society of Women Writers and Journalists (SWWJ). I even have a press card you know. I completed my Victorian novel and went to the HNS Conference in Oxford to hear the news that the Victorian era doesn’t sell well. This was a major disappointment for me. With the help of friends I had a rethink on what to write. By the time I came away from the conference, I had a plan forming in my mind. It has taken me five months to research, plan and complete another historical novel, which I am thrilled about. It was a test I set myself, to see if I could write about anything, which in my mind I have passed. The manuscript has been sent off to the RNA NWS for critique, so it’s hold your breath time, to see if it’s any good. Last week, I attended my first SWWJ event, which I thoroughly enjoyed. It was an awards afternoon tea and I met some lovely people there. Of course, I still attend the creative writing class run by Elaine Everest in Dartford. My son finding the class for me has been life changing, or as writers would say, an inciting event, which started my rollercoaster journey. Over the last few years, with Elaine’s encouragement, I have attended many workshops to help hone my craft, but the ones that have been the most memorable and left a lasting impression on me are those held by Julie Cohen, such a fabulous, upbeat person who makes learning fun. The view from our favourite restaurant in Ramsgate, on our writing retreat. Four of us rent a house each year and spend a week enjoying the sunshine, food, and of course writing. A writing retreat focuses the mind, so alongside the week, I have also attended many one-day retreats. Towards the end of last year, I started a monthly feature for the RNA Blog, on literary festivals and workshops. I cannot deny the thought of writing something that other writers will read terrified me, but I bit the bullet. It has been a year of learning and enjoying being part of the writing world. Do I regret leaving work? Oh no, definitely not. Am I closer to achieving my dream? Most definitely; there are no regrets here. If I could give advice to anybody with an ambition it would be have a plan and stick to it. Yes, things will get in the way because that’s life but as soon as you are able get back to the road that leads you to your goal do so. Try to mix with like-minded people so you know that whatever you are experiencing is not unusual, but above all else don’t give up! This week Francesca and Elaine review what they’ve done, writing wise, in 2016. Elaine: I have to say I was quite shocked at how much time away from home has been committed to writing. 2016 has been the year of opportunity for me. I had the chance to walk away from my full time paid employment in March and I grabbed it with both hands. It is my dream, and has been for many years, to write novels for a living, but life got in the way of that dream. The year began with me renewing my membership of the Romantic Novelist Association (RNA) New Writers’ Scheme. If you want to become a writer of romantic fiction, it is something I would highly recommend. Since then, I have attended numerous RNA events. The London Chapter meetings, which I have to admit I haven’t attended as much as I would have liked, the RoNA Awards, the summer and winter parties, and the valuable RNA Conference in Lancaster. Smattered in between them have been The London Book Fair, several writing retreats and workshops. I also attended, for the first time, the Historical Novelists Society (HNS) Conference, which was quite enlightening. Francesca: Looking through my diary, it certainly has been a busy year for writing activities. I continued with the RNA blog’s ‘Competition Monthly’ and will carry on into 2017. I attended all the things Elaine’s mentioned, apart from the HNS Conference. We also attended Foyles Discovery Day in February. Elaine and I did a week’s writing retreat in Ramsgate in May, along with Elaine Everest and Natalie Kleinman. I will never forget singing My Sharona with Elaine R (you had to be there!). Later in May I went to the Romance in the Court event with Elaine E and Natalie. There I got an opportunity to talk to Freya North, an author I greatly admire. Summer was busy with the RNA Conference and for me, The Writers’ Holiday in Fishguard. Don’t be fooled by the word ‘Holiday’ – we all work jolly hard! Elaine: For the first time, I tried my hand at writing a Victorian saga; once I got my head round the difference between a historical romance and a saga, it made life a little easier. I would like to thank Louise Buckley for explaining the differences to me at my RNA one to one with her. I was quite proud of my work and it got good reviews at the RNA and HNS Conferences from the Literary Agents and Publishers alike. Unfortunately, as much as they liked it, I was informed, both directly and indirectly, that Victorian doesn’t sell, so it was back to the drawing board or perhaps I should say white board. Of course, what I haven’t mentioned is the many hours of research that is the commitment of writing anything historical. I got my RNA New Writers’ Scheme report back in November for A Woman Walked into a Life, and was thrilled that the reader said it read like a published book. Still a little bit of work to do but it was very encouraging. Elaine: I am now working on another historical piece, which will also be a saga, so watch this space. I have also made a commitment to interview organisers of Literary and Book Festivals for the RNA Blog. If anyone should ask me, am I committed to my writing, I would answer just look at my calendar, because in-between all those things, I also try to write at least a thousand words a day. Francesca: I’m currently dipping my toes into an historical novel set in World War One. At the same time I have ideas going through my head for two contemporary novels. Then there’s A Woman Walked to work on. And I’ve loads of ideas for short stories. It’s going to be a busy year for both of us. What have you got planned? We wish our readers a very happy Christmas and a wonderful 2017. As you all know Elaine Roberts gave up her day job at the end of March 2016, to become a full time writer. The question is, did she? Elaine: When you are used to getting up and going to work everyday, and have done for more years that I care to admit to here, getting into a routine is important. I am pleased to report that I have established that. In my old day job, I always had things that I had to do on a daily/weekly basis, so I have transferred this to my new routine. The question now is, am I following my new routine? I don’t set an alarm clock to get me out of bed in the morning; in fact I very rarely do anything by the clock anymore, not even eat, unless it involves somebody else. My pressures are now self-imposed. If my children decide to visit, or babysitting duties beckon, then my laptop will always be closed while they are here. However, I have given myself a target for each month. When I took the decision to try and write 20,000 words each month, it seemed unachievable, but how wrong was I. May was the first month for that target and I am proud to say I achieved it, while also editing as I went, so now I am taking it a step further by thinking I could easily have my first draft finished in five months. I am not a quick writer and spend a lot of time dwelling on all the usual questions, what, where, who, when and how. It is all in my plan, but I find my story evolves as I am writing it, so the plan becomes null and void in some places. So where am I at with my new career? I finished my novel in May and sent it to the Romantic Novelists Association New Writers Scheme (RNA NWS), to be critiqued. I have everything crossed that the report won’t be too bad, but I am expecting things to need changing. The plan for my next novel is in place and I have written 14,000 words of it. The question at the beginning of this piece was “have I become a full time writer?” The answer is, most definitely. I am not a published writer. Let me just correct that statement; I have had many short stories published, but my dream has always been about writing and publishing a novel. Therefore, for me, I am unpublished. However, for the first time ever, I truly believe I will achieve my goal, because I never stop learning and listening to others. The apprenticeship is being served, so improvements are being made all the time. The next stop is the RNA Conference at the beginning of July; for me there is nothing better than mixing with other writers, except maybe chocolate! Am I happy? You bet I am!! Francesca and Elaine make plans for the coming year. Francesca: So, it’s 2016 and time to fill diaries and make lists of goals. I never make ‘resolutions’ as such. I have an idea at the beginning of January of what I’d like to achieve, then revise it constantly throughout the year, depending on what opportunities come along, or alternatively, which have been lost. Things don’t always work out the way we’ve planned. First of all there are goals which, by working hard, I can achieve by myself. These include finishing the current novel in progress, writing/reviving/revising more short stories, and maybe even some articles. Then there are the other goals, achievable but a little less tangible, ones that also need the input of others. I’m talking about actually being published. Naturally I’ve got to put in a good percentage of the effort by finding the right markets and getting whatever is required sent off (and making sure I’ve read the guidelines thoroughly). But the outcome is also in the lap of the publishing gods, so to speak. Experience has taught me that you win some and you lose some. Sometimes you nearly win but fall at the final hurdle. Either way there’s always the next submission or project to get on with along with valuable lessons learnt. A busy year of writing and workshops requires lots of notebooks. Luckily the job isn’t all about being hidden away in a writer’s garret: there are many events to pencil into the calendar that aid and stimulate the writing process. There’s a writing retreat in May, the Hay Festival, the Romantic Novelists’ Association conference, the Writers’ Holiday in Fishguard and possibly another retreat towards the end of the year. In between I’ll be attending various RNA events, including the local chapter meetings, and continue with classes at The Write Place. All these occasions serve different yet equally valid services, whether it’s to learn skills, meet publishing professionals for advice and/or networking, have a sustained quiet period to write or simply schmooze with fellow writers. Elaine: It’s difficult to believe 2015 is over. In my case it didn’t end with a bang; it didn’t even end with a slight fizz. Due to illness, the whole New Years Eve celebrations passed me by and the beginning of 2016 has not been any better, culminating in me missing my aunt’s 100th birthday. However, I’m going to be an eternal optimist and say things can only get better, because 2016 is going to be a special time for me. Francesca and Elaine take a photo call at an RNA event. I have been writing for several years now but I’ve always had to fit it around a full time job, but on March 24th I am taking early retirement. There are mixed emotions, excitement and fear. The little voice in my head tells me there are no excuses now, no hiding place. For the first time, I will be able to write when I am not tired or feeling guilty because I should be spending time doing housework or being with my family. I have been liberated to enjoy writing again. My goals are to structure my day so I can be guilt free and to ensure I attend the fabulous Romantic Novelists Association (RNA) Conference and all other RNA events. I would like to attend the Chapter meetings more often. It has always been difficult because of my limited writing time. My main goal is to finish the saga I started last year, have it critiqued by the RNA New Writers Scheme (NWS), and make any necessary amendments, before sending it out into the world. It’s definitely going to be a special year. This week Elaine Roberts talks about where she went wrong with her work in progress. This week I have sent my manuscript off to the Romantic Novelists Association (RNA) New Writers Scheme (NWS), to be critiqued. It is the first time I haven’t sent a completed manuscript. I have only sent the first seven chapters, which is just under 39,000 words. I thought I would send it now so I can go to the RNA Conference with a clear conscience and allow myself to enjoy the talks and workshops that are laid on. It is an exhausting but fun time with lots of writerly talk with writerly people. When the talks are finished, a copious amount of wine is drunk, although not by me of course (just in case my husband is reading this). If you can only do one event each year, this is it. Anyway, I’ve digressed. My current work in progress is a saga. 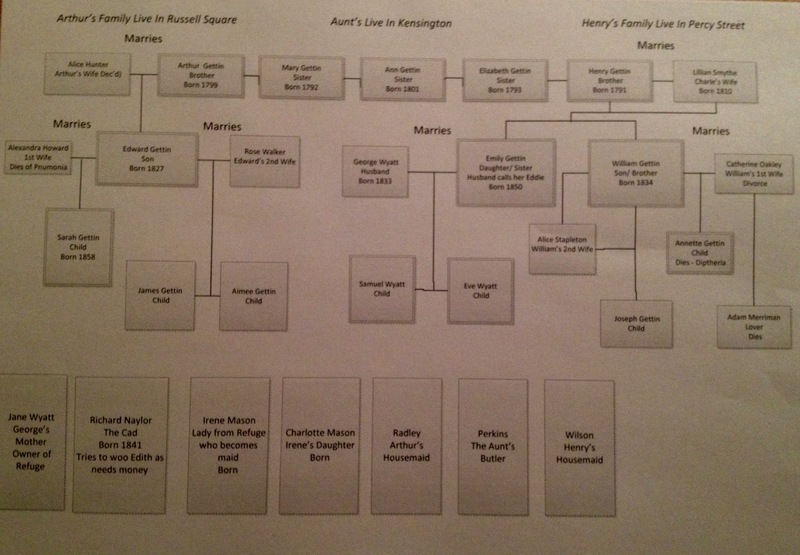 Part of my preparation involved creating a large family tree to help me remember who is related to whom and their ages. All this preparation will hopefully see me over three novels. Although they will not be a series, some of the characters will be carried forward as the generations grow. It was only when I got to chapter five that I realised I didn’t know enough about my main character’s backstory. As you can imagine, I was livid with myself and it brought my writing to a standstill. For anyone who is reading this but isn’t a budding writer, I’ll explain what the backstory is, without trying to bore you too much. The backstory of a character is basically what makes them tick and why they react to things the way they do. So it is all about action and reaction. An example of this is when a child has been spoilt. How they react when they are told no is different to how someone reacts who is used to hearing the word no. This is a very basic example, but one I hope paints the picture. 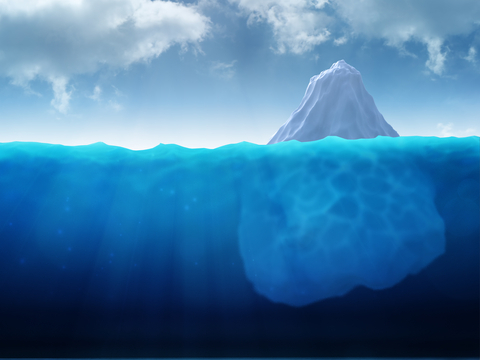 When I think of backstory, I relate it to an iceberg. The large amount of unseen ice is below sea level, that is the bit the readers do not read, but it forms your character’s underlining traits. The tip of the iceberg, the part that is above sea level, is what the readers will read and, hopefully, enjoy. I had to brainstorm further into my characters backgrounds and delve into their childhoods and their standing within the family. Lots of scribbling took place and then I returned to chapter one and filled in the gaps, right through to chapter seven. Now, I just wait and worry. I wait for the readers report to come back from the RNA NWS and worry in case they find big plot holes in my story. The good news is that if they do, it will be in the report and I can think about how to improve my work. 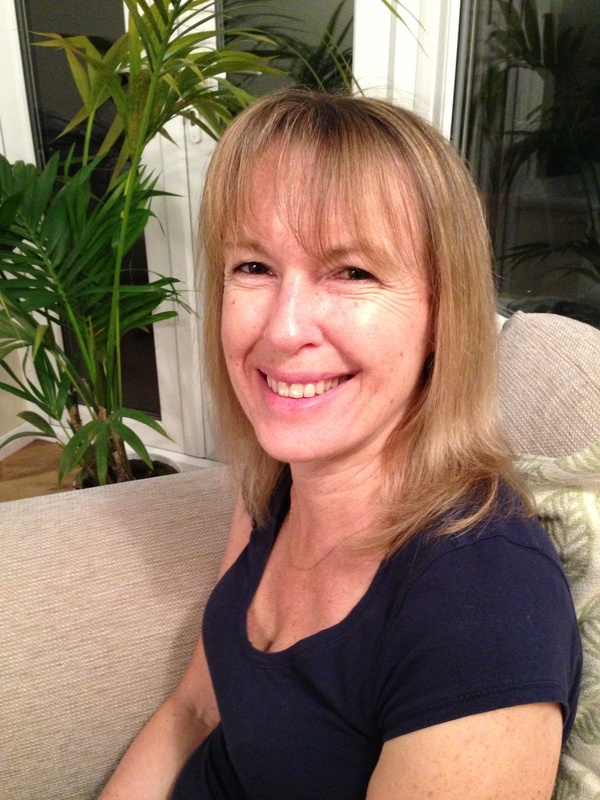 Francesca and Elaine are proud to welcome Wendy Clarke to their blog. Wendy decided to make changes to her life three years ago and hasn’t looked back. Wendy, with over a hundred short stories published you are certainly a prolific short story writer, where do you find your ideas from? The word ‘prolific ’ still sounds strange to me, as it seems like only yesterday I was dropping my first story in the post box and keeping my fingers crossed that the editors of the magazine might like it. In answer to the question ‘where do I get my ideas?’ there are many ways. The first is remembering small incidents in my life that might work as nuggets to write a story around – for example my story Out of the Dark in this month’s People’s Friend Special is written around my fear of the dark. I would say my next method is to listen carefully to others, especially my friends. One morning a good friend told me that her daughter sent texts to her signed by her new little grandson… what a gem of a story! That one ended up in Woman’s Weekly. Other than that, I read newspapers, keep my eyes and ears open and never, ever go out without a notebook! How many short stories do you write a week and is there a pattern to how you write them? Oh, yes. I am very strict with myself. I write one story a week unless I am on holiday (and even then I am scouting for ideas). As to when I write them, it depends on what I have on my calendar that week. I am not a slave to my writing; I write around other things that I do. It is nice to have a story written at the beginning of the week, though, so that I can move on to other writing tasks such as my blog, marketing my story collection and of course writing my novel! What made you decide to publish Room in Your Heart? I wrote Room in Your Heart because I was frustrated that once my stories had been published in the magazines they would never be seen or read again. Also, a lot of people I know (like my family) aren’t readers of the magazines that contain fiction and I wanted to be able to show them what and how I write. As a lot (though by no means all) of my stories are romances, I decided to make Room in Your Heart a romance collection. Don’t be fooled by the title, there are a range of stories in the collection – all previously published in The People’s Friend – but they are by no means slushy. Will you publish another book of short stories and how do you decide what to include? Funny you should say that! My second collection, The Last Rose. is being published on Monday – it would be lovely to see everyone at the launch party on my blog Wendy’s Writing Now. 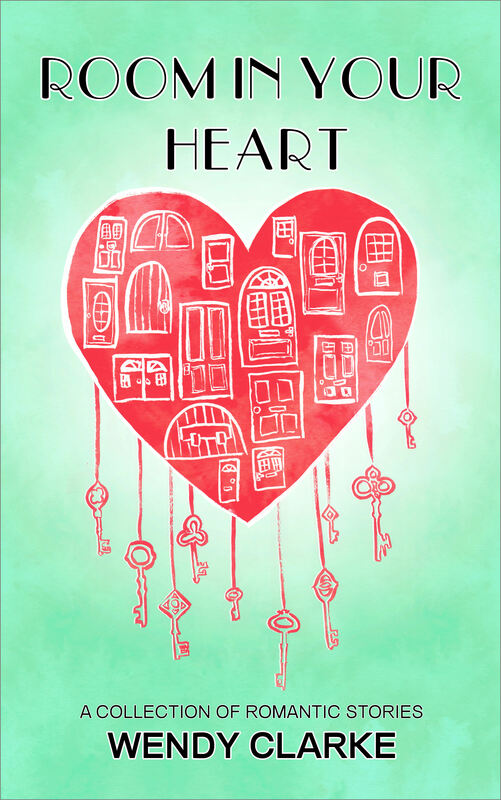 I decided to put together the second collection after receiving fabulous reviews for Room in Your Heart and requests for another. 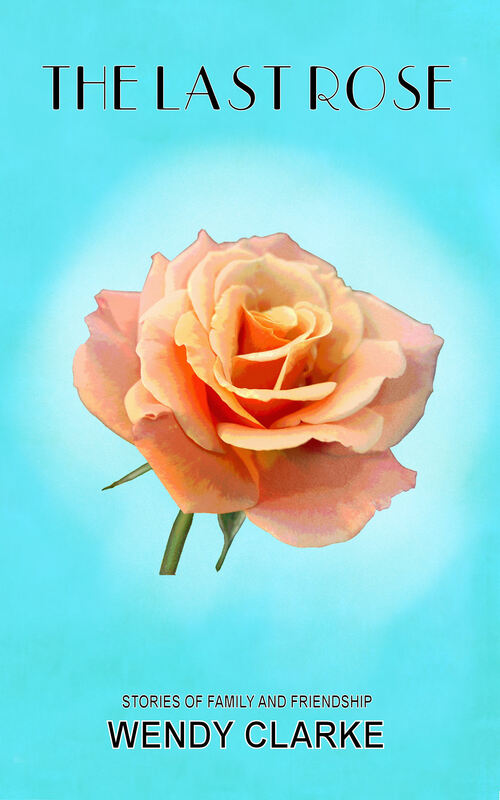 The theme of The Last Rose is ‘family and friendship’. It will be published for kindle and in paperback and is available now to pre-order – perfect if you’re looking for a Mother’s Day gift. This time I have chosen stories that have been previously published in a variety of national women’s magazines and I am very excited about it! I know this year you joined the Romantic Novelist Association New Writers Scheme (RNA NWS) so does that mean you are taking the giant leap into writing a novel? Gulp… yes it is! I never seem to be satisfied with doing just one thing. Although I love writing short stories, I have also written articles and serials and a novel seems the next logical step. I had been thinking about the possibility of writing a novel for a while but it was only when a particular story of mine was published a year ago that I thought, now that could be taken a lot further. I joined the RNA NWS to give me the push I needed to make a start. I know I won’t have it finished by the time I have to submit for a critique in August, but I hope that I will have something decent to show. It’s certainly a learning curve. Thank you very much for having me on your lovely blog and for being such a great host. Elaine Roberts discusses her new venture. So February’s here and my daffodils are rising high in my garden.Where did January go? Since Christmas, my nose has been buried in my new project, and I do mean buried, hours upon hours of research, taking copious amounts of notes and bookmarking. Thankfully, we have it easier these days than the writers of yesteryear. What I can find in an hour on the Internet would have taken days and several reference books, I’m sure. I’m beginning to think there’s nothing you can’t find on there, why didn’t we have that when I was at school? Homework would have been so much easier. Having said that, my decision-making lets me down, my problem is I keep changing my mind about where my characters are going to live and what they are going to be called. I’ve been looking at old maps to see what roads existed at the time I’m writing about (have you noticed I’m not saying the time it’s set in, it’s a secret, even to me!) How long will it take them to get from A to B. Then there are character names. A name can tell you a lot about a character and their family history. For example, if a lady is called Fleur, then she is likely to be French or, at least have a French connection. I’ve read lists and lists of names, not just trying to find some that I like, but also trying to find ones that my readers won’t say “What!” to. At this point, more out of frustration than reality, I think maybe I have too many characters. Perhaps I could drop some, but no, I’ve planned eleven of my twenty chapters and all my characters are accounted for. So they stay and that’s final. Back to the name searching then. I have given myself a deadline of getting ten chapters completed by the end of August, so the Romantic Novelists Association New Writers Scheme can critique it. I’ve never handed in an incomplete novel before but I’m wandering into uncharted waters. Well, they are uncharted for me anyway. The big question is can I write it, the answer is I don’t know, but I’m definitely going to try. There was a time over last weekend when I did get myself in a tizz over my abilities to write it, so against all my own rules, I started writing the opening scene. Only five hundred and ninety words but psychologically they were probably the most important words I have ever written, mainly because I was chuffed with the result. It’s only the first draft but my confidence has been lifted. I’m actually beginning to think I can do it and, when I do, you’ll all hear my screaming from the rooftops. You know, when I used to just read books, I never realised how much work and planning went into them. Let us know what your scariest ‘can I, can’t I’ moment was, whether it’s applying for a job or trying something new.